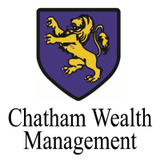 Chatham Wealth Management located in Chatham New Jersey is a SEC registered investment advisor serving high net worth individuals, retirement plans and trusts. The Firm and its predecessors have been in business since 1978. Our portfolio managers average more than 25 years of investment management experience, and we are dedicated to satisfying each client's personal objective. We recognize that our clients are unique and that is why we customize investment solutions for each and every client. Having one of our Certified Financial Planners work with our clients to perform a personalized comprehensive financial plan is the best way to determine the investment mix needed to achieve your goals. We are a fee-only organization and as such, we avoid conflicts of interest that can arise within broker or sales based management companies. Our clients take comfort in the fact that we have been putting their interests first, since our founding in 1978.